For details about this coming Sunday's classes, see this Sunday's bulletin, posted each Friday on the home page. 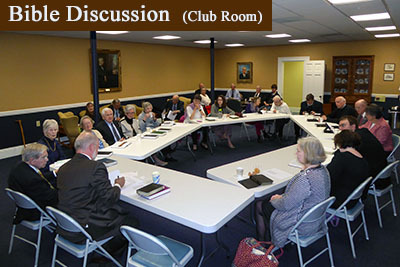 The Bible Discussion Class (Club Room) explores the Bible one book at a time, following themes and topics through that book. This class has several different facilitators including Helen and Doug Beets, Rick and Elizabeth Sides, Bill Gramley and Tom Haupert. We welcome you whenever you are able to join us. 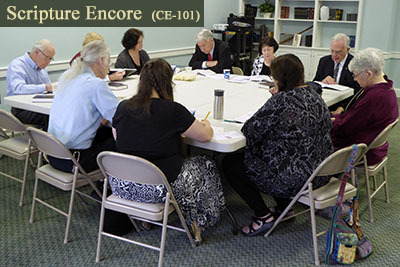 Scripture Encore (CE 101) looks further at the lectionary scriptures presented in the day’s church service in a discussion format. 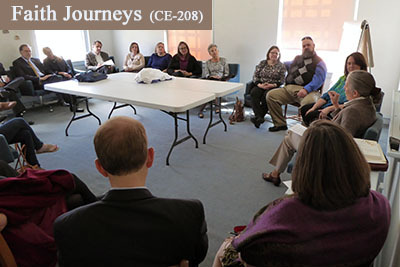 Faith Journeys Class (CE 208) hears church members’ faith stories and records their own.